Yaro Starak has been lucky enough to speak at some of the biggest events in his industry, including Social Media Marketing World. he been featured in Forbes, Entrepreneur, Foundr, Huffington Post and been interviewed in over 250 podcasts. 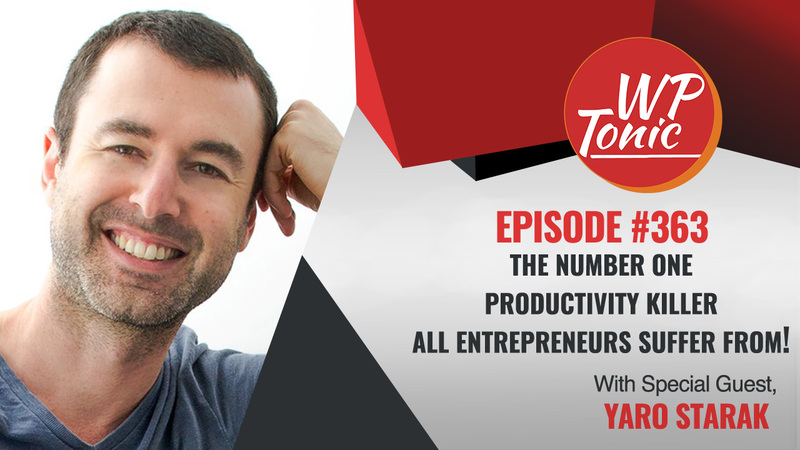 Yaro also the author of the original ‘Blog Profits Blueprint’ (downloaded over 250,000 times) and been ranked as a ‘Top 10 Blogger and Podcaster. He is also the co-fonder of Inboxdone. Jonathon: Welcome back folks to the WP Tonic show. This is episode 363. I really I’ve got a great guest on the show with me at the present moment. I’m going to butcher his name; he’s going to be easily okay about it. Yeah, it’s Yaro Starak. And Yaro, would you like to introduce yourself quickly to the listeners and viewers? Yaro: Sure. You didn’t put butcher my name, that was pretty good. Longtime online entrepreneur. So the very short version of what could be at almost 20 years story was got my start in magically gathering cards back in the late nineties. And then that switched to an essay editing company in the early two thousands. This led to blogging and podcasting starting in 2005. The really early days of podcasting back then. And that’s been my sort of main claim to fame for the last since 2005 until now, I still blogging and podcasts. And then I also have a couple of other companies Inboxdone, which is email management service. And a solar energy company in Ukraine, which is very random but very exciting for me because it’s quite different and obviously not online. So, that’s this very, very short version of what could be a two hour conversation I think. So. Jonathon: I think so as well. And I got my great cohost Cindy Nicholson. Like to introduce yourself, Cindy? Cindy: Sure. Hi Yaro. Thanks for coming on the show today. Hi everyone. It’s Cindy Nicholson from the coursewhisperer.com. And I help people that are looking to put an online course together, help them put it together to make it good. Jonathon: That’s great. And I’m the founder of WP tonic. Can we build and maintain and support learning management websites for all e-learning entrepreneurs on the WordPress platform. Alright Yaro, I really didn’t know where to start off with. Cause you to say you’ve got extensive experience in this world of membership and online marketing would be a slight understatement. So if you, what do you think if an eLearning entrepreneur and they wanted to build a successful membership site. And that person came to you, what would be your initial advice about getting going and doing it in the right way? Yaro: Yeah that’s the golden question, isn’t it? So yeah, membership sites and online courses have been my bread and butter income as a blogger for sure, as in podcasting as well. It’s been like, and still has actually been my largest source of income over the years collectively and cumulatively. But also because I’ve done it for 12 years and had about four or five different courses over that timeframe. To someone new, I would be saying obviously, there’s a combination of just the business fundamentals. What’s your niche market? What are you helping them do? What’s the problem you help them solve? And I’ll also be asking them, what’s your audience exposure like right now, what’s your situation in terms of your personal brand or the technical things. How big is your email list? How big is your following? Do you have, access to an audience that would be interested in what you’re possibly, selling a course or a membership site on? I think more often than not, people who are already doing something in teaching either like consulting or coaching, freelancing. I think that kind of person’s seems to then see a course or a membership site is a natural next step predominantly to free themselves from, the pay per kind of situation that they usually find themselves in, which is not bad. It’s you being your own boss. It can be great money. But at the end of the day, as I’ve been a proponent of this thing called the laptop lifestyle forever. And one of the main reasons I can be talking to you in Vancouver or Ukraine where my solar company is. Or Australia where I was born or Hawaii or I like to go is the fact that those courses and membership, recurring billing, it goes into the bank account. And makes new sales regardless of where I am and whether I’m actually proactively trying to sell it. Obviously that requires building a system behind it and having some sort of ongoing traffic source, a funnel as we call it, email marketing and so on. But yeah, it’s available I think to anyone who has a problem they can legitimately solve. And that to me is I was where I’d like to guide them first, look at the problem and how much money people currently spend to solve that problem. And then you can go in towards the nuts and bolts of the actual e-learning that you sell. But really that’s, as you guys probably know very well that the setting up of a course, the delivering of membership content, while sure it is, there’s a process there, that’s why people like yourselves exist. But it’s, I would almost call it like it’s a step by step process that’s repeatable. The part that you kind of have to get right before all that is, is the market and the audience that the traffic that’s the hard part for most people. Although they get so caught out being what membership software should I use and how much should I charge and how do I create, a module and all that sort of stuff, which is all fun. But it’s way more fun when you know you’ve got customers ready to buy that stuff. Jonathon: So before I pass over to Cindy I think you got to the crux of it really. You have probably being asked this so many times. I often no guarantee or originates. Unfortunately all this, you got any insights about, because I agreed with everything you said, but the thing is. How do you start building online audience? Yaro: Fair enough. I mean everyone who probably comes in your podcast has a different background in this. And that they’ll say, I do Facebook ads or I do press coverage or I do organic social media. So I’ll give you the answer that obviously that just works for me. And a lot of people I’ve worked with have benefited from as well. Which is simply content marketing, predominantly through blogging. Blogging has been and still continues to be my main source of audience. It’s free, it’s traffic from Google. Google searches, finding blog posts I’ve written either last week or last decade, it could be that way. Obviously if you’re just getting started that that’s a slower method. Like I wouldn’t tell people, and you start a blog today, two months from now, you’re going to have enough of an audience for a successful course launch or membership sites. So that’s why people turn to paid traffic. But even that is an area where, I don’t tell people to do paid traffic until they know they have a converting offer because you can lose a lot of money trying to figure that out. Just throwing, traffic at random offers and there’s a lot of very good copywriting and marketing and emails that needs to go into a good campaign. So often, depending on the skill level of the background, some people come to me and they already do have that personal brand and I really like that kind of client because they’re probably already blogging. They’re probably already doing maybe YouTube or podcasting or all three of those or being very active in Facebook groups or LinkedIn, whatever it is. And they have some kind of audience. And then it’s a case of, all right, how do we ramp this up? One of my favorites is, joint ventures, I don’t do it nearly as much anymore, but during my early days, which is when you have much smaller traffic. Finding one good partner. Or we’re doing one good launch campaign as my first course way back in 2007 it was an affiliate back marketing campaigns. 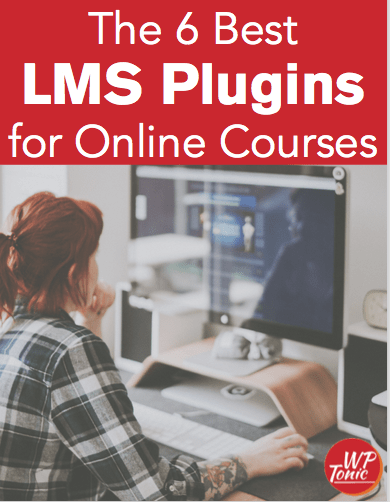 So know I brought my 2000 RSS subscribers back in the day of RSS and blogging plus my 2000 or so emails subscribers and launched this course. But I also had Darren Rouse and you might know some of these other names. Jeremy Shoemaker, John Chow, a lot of kind of old school blockers from Internet marketing. And Brian Clark from Copy Blogger. So a lot of people promoted what I think probably at the time was the first ever course on how to make money blogging and, half my sales now, maybe it will be less than that. Certainly a lot of my email subscribers came from those people all promoting endorsing as an affiliate. The free resources I was giving out. So I think a launch campaign, a bit more of an advanced technique, but even on a smaller scale, finding one partner to do a joint venture with who will do maybe a Webinar with you or run a Facebook challenge with you or even just send a few emails promoting whatever free resource you have. Those can double the size of your audience exposure within a week. It’s such a powerful source of traffic. So I like kind of a combination of grassroots content marketing that’s long-term. So let’s build some great blog posts, pillar articles as I’m known for teaching that concept. But also to get those jumps in traffic. Let’s look for partnerships or opportunities to get maybe on television or get, a, some kind of press coverage, guest article show up on a podcast interview, or several try and get one a week. So it’s kind of a combination of those sorts of elements. But it hasn’t changed. That’s irony. I’ve been asking this question since about 2007 as well. And, okay, Snapchat didn’t exist back then. YouTube wasn’t just getting started back then, but the answer hasn’t changed. You still go to where traffic is and try and get your face or your voice there. Plus do some contents. So you start getting some Google traffic organically as well, or you’ve got money to burn. Back then it was Google ads, now it’s Facebook ads or Google ads or twitter ads or Snapchat ads, et Cetera, et cetera. Cindy: I appreciate you saying that Yaro. From the perspective because a lot of bloggers when they first start out, they are really, they slug it alone, right? They keep trying to, okay, maybe I just need to put out more content, more content, and they don’t recognize the opportunity of other influencers out there that might be, help support them in building the traffic to their site. So I really appreciate that because I think that a lot of people think if they just work harder than it will come to them, but they need to be a bit more strategic about it. Yaro: Yeah, no magic bullet, that’s for sure. Cindy: Exactly. So because you’ve been in this business for so long, I just am curious as the evolution of online courses. Like where have you come from and where do you see kind of online courses going in the future? Because you really have that deep perspectives. I’d be interested in thoughts. Yaro: So funny, I remember being asked this sort of 2008, 9, 10, 11 and there was this whole idea that information is getting more and more free as time goes by. So we need to expect the course we create and sell now for $300 will be the course we create and give away as a way to just grow our audience. And then we’ll probably charge money for, in person workshops, more live based marketing live webinars with you because that’s the only thing that people will still value. And pay money for is that kind of face to face interaction. but that hasn’t really born true. I mean people were saying that and I think there’s an element of truth to it in the sense that over time there has been a need for more and better free content and more specialized free content. In order to build that niche audience that you like. You can’t just possibly write one blog post a week and Google will reward you. Now it’s, yeah, you do have the social media part of it. And you do have to really be specialized. Otherwise you’re just drowning in all of that noise out there. But man, since then master class has come out. There’s so many of these different platforms have risen that’s charged money for information, for courses, for education. And I haven’t seen that perform any worse. I think it’s performed a lot better. I think the markets increased. So going forward, if I’m going to put my prognosticator hat on and guess the future of this, my default answer would have been, well, more information is going to be free and you should be prepared. But I actually, I’m not sure if that’s the case. What I am unsure of is the format of education and how we consume content and where that’s going. [I don’t know. I mean, I get asked like, will blogging disappear and obviously, unless we change the way we consume the written word, we have yet to do that. And I can’t see virtual reality changing it. We’re still going to prefer to read a flat page of text. I’m sure we might be more interactive with our video content, but again, that even YouTube hasn’t replaced books, or blogs. It’s just kind of more of everything. And I think that’s the real lesson. I don’t think anything’s disappearing. I think we’re just adding more and more. And so there’ll be more, more platforms still coming. Whatever the next social media APP will be or whatever, whatever technology comes along. We’ll probably use fridge apps and the television will be our kitchen table as well. So there’ll be places like that where I will consume the content. So the only real, I guess, consideration for people listening to this is don’t worry about the format disappearing. What’s going to happen is if you’re feeling overstimulated with options, that’s just going to continue to grow and will be more and more places for you to publish content. So in order for people like ourselves, who want to be kind of thought leaders in a small niche, we really need to be on top of a very nice, laser focused part of an industry. And that’s the truth for anyone entering now too. back when I started I could just throw any advice how to make money blogging generically. And now if people read about the basics like that, it just sounds like a hundred other articles they can find and they probably come across. So things that allow you to separate yourself from that are the big tasks. Writing a book makes you a bit more credible. Who you’ve helped, what’s your client base. I find it really interesting to watch, for example, Lewis House; you’d probably both know him. How he came from a pretty typical Internet marketing background. Podcasting took him to slightly more mainstream book releases. Also help, boom, he’s on Al. And then he’s entering total mainstream Facebook television show on the cover of magazines. Right? So that’s a good example of a person who’s kind of emerged as a one of many but managed to use those platforms to really grow a much larger audience. And we’re not all going to do that, but I think the message of what he’s doing on a smaller level, we can all do it. we do want to appear on an niche podcasts like I’m doing right now. So, I have one of my clients who are in the dissociative disorder niche, which are multiple personalities. So as you can imagine, not much competence or not as much competition online as what we talk about in this whole world of Internet marketing. But there’s still health podcasts she can appear on, which she started to show up on now. So anyone with that condition who starts Googling, first of all, it comes across the blog that she’s been writing for a decade full of content to help that kind of person. Now she’s starting to build that personal brand podcast interviews. she’s got a membership site and courses and that’s how she makes her money. So it’s a good example of that. This stuff is all happening across the board and all industries. we just all have to be very, especially if we want to be the face of our business. Of course not everyone does. I mean, my new business, while I am pushing it as Yaro, its independent brand, it’s meant to be much bigger. And I don’t sell me; I sell an idea and a problem solving solution. And I access my existing audience, but that’s just because its low hanging fruit but the company itself, it’s not Yaro. So I don’t get to go out there and sell that. I sell the idea of what the company does. So the principles kind of don’t really change. But I want to put that out there because some people were hearing this might be going, well, I don’t want to be on Ellen. I don’t want to go on the front of magazines. I don’t want to, get out there and be on podcasts all day long. It’s not my, I think I just want to have a good thriving company. So at they are the same principles. you Just you have to understand what you’re selling or what you’re positioning in that case. Cindy: Yeah, I think that’s really true in terms of, I think because you have access to so many people to be really specific and clear as to who you help. And to be the face or the expert in that field allows people, allows you to attract people to yourself as well. Jonathan? Jonathon: Yaro that`s great. We’re going to go for our break folks. We will be back. And I think it’s been a great interview so far. And I’m sure it’s going to be even greater when we come back. We will be back in a few moments’ folks. Announcer: Do you want to spend more time making money online? Then use WP Tonic as your trusted WordPress developer partner. They will keep your WordPress website secure and up-to-date so you can concentrate on the things that make you money. Examples of WP Tonics client services are landing pages, page layouts, widgets, updates and modifications. WP Tonic is well known and trusted in the WordPress community. They stand behind their work with full, no questions asked. 30 day money back guarantee. So don’t delay signup with WP Tonic today. That`s wp-tonic.com just like the podcast. Jonathon: We are coming back. Yaro it’s been fantastic. But before we move forward, I just want to quickly mention one of our great sponsors and that’s Kinsta hosting. And Kinsta hosting as being supporting the show for the past year and a half. The WP tonic website is hosted on Kinsta. They are big enough to provide all the bells and whistles you’re looking for, but small enough to still care about you. Staging site, nice version of PHP, 24, seven support, real expert support. They use the Google cloud as their platform. Fantastic interface. I can’t praise them enough. So if you’re looking for a quality WordPress host, go to Kinster.com. So Yaro, I think one of the things that are always impressed me with your career is that you are in a sector. And it might be because I am English; I’ve lived in America now for almost 10 years. Is there is a certain. I’m trying to find the right words here. There’s a certain type of online marketing guru or expert I find rather nauseating. And I have noticed that you have never really, that’s not your bag really. You have never tried to do that. You seem a very different style, but you’re super-efficient. Ad you know what you’re talking about. Was that a conscious decision or was it just wasn’t you? This kind of. Yaro: I think I have been, I’ve had replies to email campaigns and things that will, what you’re alluding to I guess is that sort of over hyping type of sales and marketing they can go on back in the day and even today, large sales page, huge red fonts, pictures of checks. It’s kind of like the Tai Lopez effective today with, doing a video in front of your cars and walking around your mansion. Right? It’s that, look at me and this is how great my life is. and the idea that we can never deny is that does generate a certain sense of desire within human beings and that can then lead to sales of your products. So the way i always looked at this, it’s like a virtual dial for your marketing, right? And you can spin it as far to the right as you want to put the sales talk to a certain degree of, of hyping this right. And everyone has what they personally feel is acceptable is how far they’ll go. And then of course your entire audience also has their own position on that. So I did, I guess, grow up in Australia where it’s not as, it’s more is that tall poppy syndrome and you’re not supposed to stand out. That really didn’t affect me too much. I think more because I’m more, it’s kind of ironic thing. I’m introverted and I grew up shy so I wasn’t looking to stand out. But then the medium of the Internet with blogging and podcasting allows a person like me to feel comfortable because you’re by yourself most of the time. Working away and when you publish a blog post, it doesn’t feel like there’s a large audience there potentially reading it and you’re getting well known. And that that can hopefully happen as it happened to me. And sure I kind of on the surface it looks like I’m deliberately pushing myself out there and getting that kind of exposure. But I didn’t feel that way. So when it came to doing sales and marketing, I was adamant about doing what I need to do to sell products and services. So I studied copywriting, I studied Jeff Walker’s product launch campaigns. And Jeff Walker is a great example because you take, Frank Kern, you take Jeff Walker. I know people who hate Frank Kern cause he always sounds like he’s selling nothing and it is just hype. And then Jeff Walker, they’re friends are in the same market, but he has his more down to earth kind of way of talking. And I always felt more connected to Jeff than I did to Frank as a personality. So I learned more from Jeff than I did Frank. But I know some people who just love Frank because they learn so much tactically from him and they don’t find him over the top either. So I really do feel it’s in the eye of the beholder. But I think the best answer to your question for the benefit of the listener is I went with what I was getting, the results I wanted from and what felt within the comfort zone, I guess, of my personality. So yeah, I definitely felt my writing was and is transparent. I love transparency as a marketing tool. So I think telling stories from your own life in my case and telling stories from my businesses over the years has been my best marketing tool. Because I did something, this is what I did learn from, worked for me and people like you and they want to learn more from you. So that’s work fantastically. And it works for every niche. Just like, Cathy, my client teaching how to, get help with dissociative disorder. She’s helped other people so she can, she can’t give away personal details, but you can give the right advice that has worked for people. And that’s always the most helpful advice. Really practical stuff. Now, how far you hype that is often a factor of you personally, but also what people expect in your industry? if you’re selling, say cola drinks, if you’re not doing coca cola style marketing or something clever along those lines, you’re kind of just holding back. It might not work. Same with sort of, business and marketing in this kind of world. It’s on one level, its super hype, the Tai Lopez kind of side, but in a lovely twist of circumstances, you can go counter that. And I’m a big fan of counterintuitive marketing where you take what is the accepted practice in marketing in an industry and liberally go against that. one of my favorite examples from the weight loss industry, I remember one of my very early mentors talked about his name was Rich Schefren and he would say, this is an example of counterintuitive marketing. If everyone is, they know and expect you to go out there and say lose weight by eating less and exercising more. But if you go out there with your marketing campaign and say, I know a way for you to lose weight by exercising less and eating more, people are like, okay, that’s not what I’ve heard from everyone else. What’s going on there? And I think certainly maybe what you’re alluding to with the way I’ve projected myself as this kind of transparent down to earth person. Depending on what materials you read a mine, of course I’ve had long form sales pages with red font over the years too. But I’ve kind of looked at times as a, I guess a counterintuitive personality or style of marketing too. Tai Lopez, or maybe back in the day you might remember the rich jerk. He had some, no one knew who he was, but he had some crazy copy in internet marketing and certainly Frank Kern and yeah, all kinds of people back in the day. But it depends what you’re looking at. I mean, you probably know Pat Flynn and some people love how down to earth he is. But then some people will start going, well, he’s using the same marketing techniques that Jeff Walker did for some of his stuff. So it’s, I have the eye of the beholder really, really can’t. You can’t please all the people all the time. So that’s why he can do that. Cindy: That’s so true in terms of. Especially if you’re going to be putting yourself out there. You really just want to decide who you want to be and who you’re most comfortable being. Because if this is a long term endeavor, you want to make sure that you can be consistent with that. So I think that’s a good way to look at it. Yaro: Yeah. And if you feel uncomfortable that’s a good sign that maybe you’re not on path with what you’re doing. Cindy: Yeah, I agree 100%. I actually want to just kind of transition into one of your current businesses, your Inboxdone business. Because obviously you see that there’s a problem out there that needs to be solved. And you think that you obviously feel that there’s a huge opportunity there. So what is the problem that Inboxdone is solving? And what can we do about it in order to get better? Yaro: Yeah. But I can connect the dots. So right from very day one with my online career, I was not necessarily hoping to, really hustle hard, and grow a startup company. And an exit for millions of dollars. It was more how do I get an income stream that allows me to sort of travel and have that kind of freedom. And online courses and membership sites are great for that as I mentioned earlier. but even before that with my essay editing company, that was the sort of first as Tim Ferris would call it a, four hour work week muse kind of business where I was attempting to create something that generated an income stream and somehow separate myself from the generation of that income. And that’s not easy when you’re doing it for the first time. But I was following a good business model. I was hiring contractors to deliver editing services. My job was actually forwarding emails all day between the editors and the customers, students at universities usually. And one day I was in Sydney just traveling down there. I didn’t live there and I found myself all day when I was supposed to be doing something else, forwarding emails and constantly checking the inbox. So when I came home I’m like, if I want to break free from this company, bearing in mind this is before four hour workweek. So I’d like to say I was editing there but I needed to stop doing email was the short answer. I think a lot of entrepreneurs know once they kind of become successful and you guys might do this, I don’t know how many emails, how much time you spend on your email right now, Cindy and Jonathan. But I was doing that a lot. So I hired a stay at home mom, train her, went through that experience of can I trust someone to handle these emails, in my business. And it turned out they could even do a better job than me because they could spend their working hours on just that task. And go and chase customers for me and do better customer service for me. So I woke up the following Monday after the training was all done and I logged into my business email and inbox was empty. And I was like what do I do with my life now? Because this company is completely outsourced. And strangely enough, because of all the time I had, I became a blogger and a podcaster. So in a lot of ways, if it wasn’t for that company and outsourcing email and building that business. I would have not had the time to write as much as I did to grow a blog and then start doing podcasting and interviews as well. So from that point, which was a long time ago now, continued, no matter what business I had, the blogging business, I had a person doing my email. I’ve even had sometimes two or three people doing the emails. So I have 24 hour customer support. And a couple of years ago I was talking about this, similar to I just said to you guys. I said I only check my email about once a month. And I was saying this to a group of entrepreneurs at a networking event and they all go, how, what do you mean? Like that doesn’t compute for most people. How do you only check your email once a month? And I say, well, someone else does it. And then there are a few emails that only I can do and I do those once a month. And that’s how it works. So I realized from that the faces on the entrepreneurs that maybe this is a need in the marketplace. So I ended up partnering with my cofounder Claire, who actually did my email for two years, as one of my email team. And we launched the surface, which as you mentioned is called Inboxdone. And yeah, we’ve been growing steadily. It’s about a year and a half now since we launched that. Got quite a few clients. We’ve got a team now, managing the inboxes of people and it’s been a fantastic spinoff. A lot of my companies that’s for certainly the most successful ones as you can see right here, there’s always a connecting being from, my essay company, building a system, hiring a person lets me to, blogging, blogging lets me create online courses. and then I meet a person working with that company that allows me to transition or start another company and this email management. So I love doing that. There was a time in my life where I thought maybe I’m just a writer and not an entrepreneur. I started as an entrepreneur, but now I realize both. It’s nice to be fellows, right? So, yeah, and that’s the company we run right now and it’s for the right people. I mean, I don’t know who’s listening to this and what stage they’re at. But if you are in a situation in your business where you find yourself getting up in the morning and spending two hours an email or going to bed at night and spending two hours an email and you’re not seeing your family or not taking holidays because of that. Or you’re working on your email and your holidays, it usually sounds good, especially good to a certain person when they say, check my email once a month. If that sounds good and you’ve got a business then. Yeah, that’s who we help. Cindy: Wow. Yeah. I can imagine you would have got a few eyebrows raised with the checking the email once a month. Yaro: How often do you guys do your email? What’s email like in your lives? Cindy: Not a good example to look at. But my inbox is always open all day long. So it’s not a good strategic way to work. I don’t think. Jonathan? Jonathon: I sound quite as bad as Cindy. I deal with email in the morning. My outreach, my podcast and everything’s in the morning. In the afternoons I do client work or mostly I’m a project manager. And then at night I will check my email again. So I’m not checking it all the time because I had to restrict. I’m pretty easy to get hold of, to book or zoom with me. It’s pretty easy. But it’s got to be an escape on my schedule because otherwise it got tidy out of hand basically. And it got crazy basically. So without hiring your, but I think it’s a fabulous service. Absolutely fantastic idea. I wish I had thought of it myself, but there we go. We are going to wrap up the podcast part of the show. Yaro has really been kind enough to agree to stay on. And you’d be able to see that on the WP tonic website with a full set of show notes. And on the WP tonic channel, please subscribe to it. We are getting more followers for that. Yaro, what’s the best way to find out more about you, what you’re up to and your words of wisdom? Yaro: I had a recent domain name change. Just Yaro, y a r o.blog. Or just Google Yaro. There’s not a lot of Yaro`s doing what I do. So you can find it by, Yaro podcast and blog and email newsletter. That’s the best way to follow me or social media of course as well. And of course instagram and Facebook. Jonathon: And Cindy how can people find out more about you and what you are up to? Cindy: If you have got a course in mind. You can find me at thecoursewhisper.com or you can also find me on LinkedIn. Jonathon: Right. That’s great. Before we go, we are going to be doing a free Webinar on the 31st of January at [9:00] AM Pacific standard time. If you join us live for the Webinar, we’re going to be offering a couple of great prizes. A free downloads to everybody that attends the Webinar. The webinar is going to be essential things that you need to know to start a successful course. And basically also one person is going to win a one year free support maintenance WP Tonic plan with a value of almost $700. I’m going to be giving that at the end of the Webinar to a person that still live with us. And if you want to register for that, go to wptonic/webinar and you will be able to register there. We will be back next week with another great guest and another great interview. We see you soon. Bye.